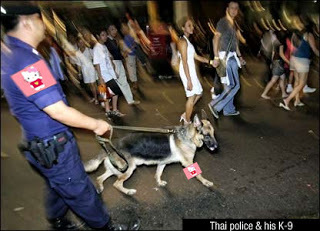 The Thai police seems rather intent on cleaning up its force. 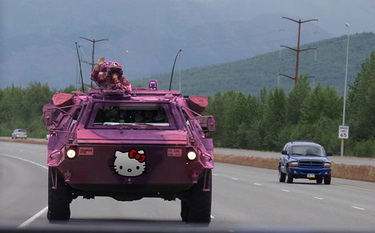 In addition to fat camp for overweight cops, there’s, well Hello Kitty. 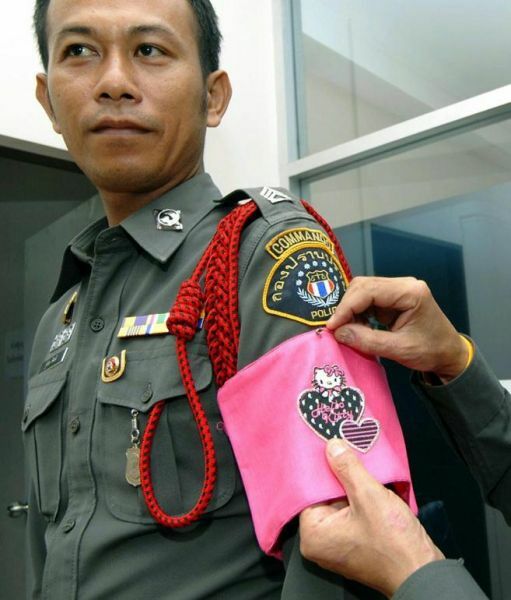 Misbehaving police officers are emasculated in public and forced to wear the adorably iconic kitty’s face along with a pair of linked hearts. No matter how many ribbons for valour a Thai officer may wear, if he parks in the wrong place, or shows up late for work, or is seen dropping a bit of litter on the sidewalk, he can be ordered to wear the insignia. “Simple warnings no longer work,” according to police colonel Pongpat Chayaphan, acting chief of the Crime Suppression Division in Bangkok. “This new twist is expected to make them feel guilt and shame and prevent them from repeating the offense, no matter how minor. Hello Kitty is a cute icon for young girls. 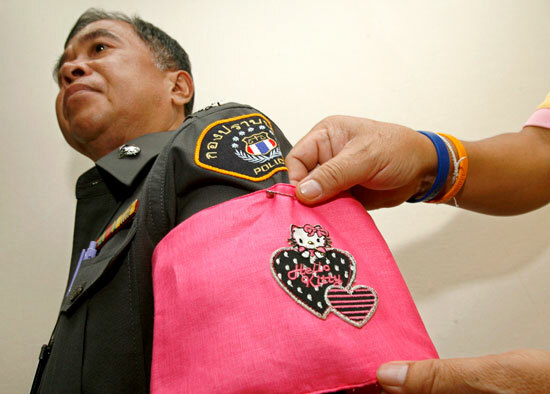 It’s not something macho police officers want covering their biceps,” Pongpat said. “We want to make sure that we do not condone small offenses,” Pongpat said, adding that the CSD believed that getting tough on petty misdemeanors would lead to fewer cases of more serious offenses including abuse of power and mistreatment of the public by police officers. 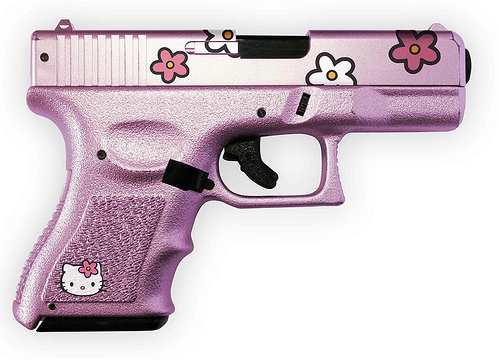 So, should police officers who commit more serious offences be made to carry Hello Kitty pistols? …or have their police cars plastered with Hello Kitty stickers?